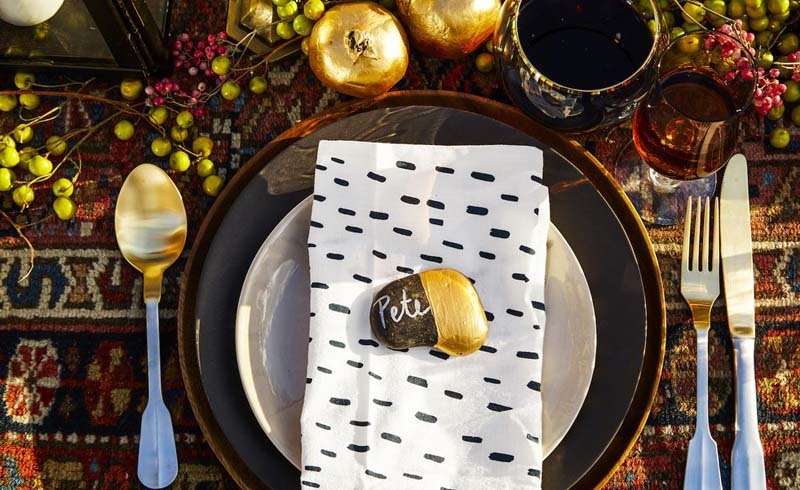 From fall-inspired motifs to harvest pumpkin designs, we’ll help you find a stylish Thanksgiving tablecloth to elevate your holiday table. 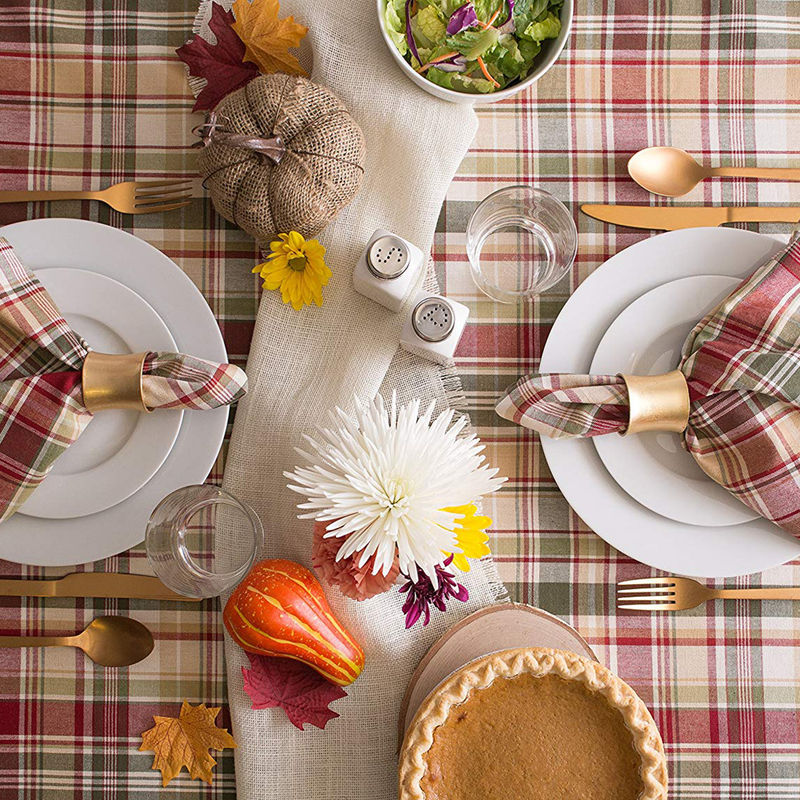 Ideal for Thanksgiving and more casual autumn dinners, this plaid tablecloth is a relaxed favorite. Top the table with festive flowers, candles and matching napkins to complete the look. 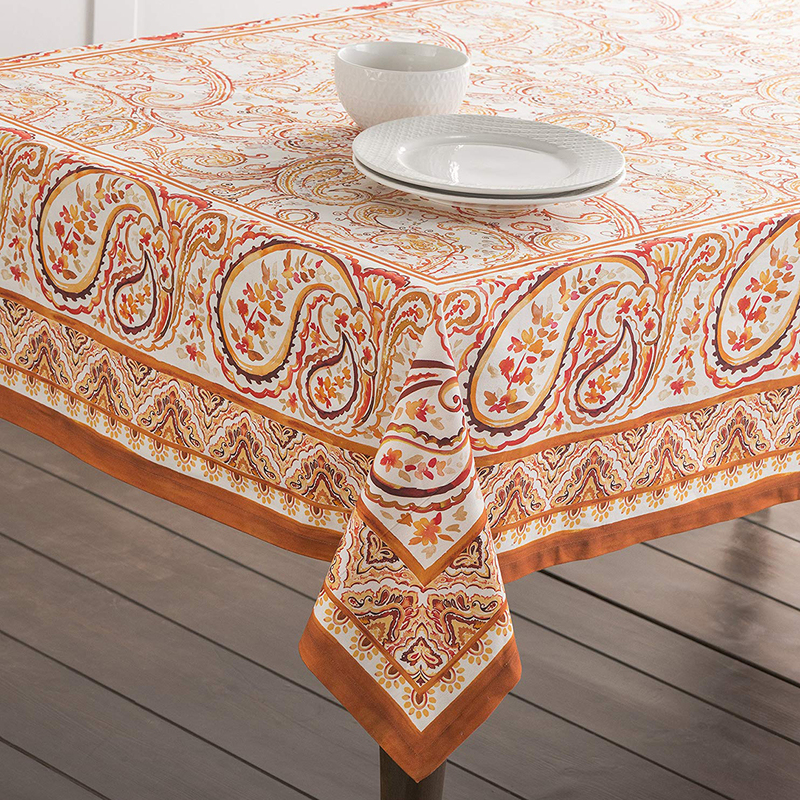 Use this gorgeous paisley tablecloth to brighten up your table. It’s made with 100% cotton and it’s machine washable, so don’t worry about spilling your homemade cranberry sauce. 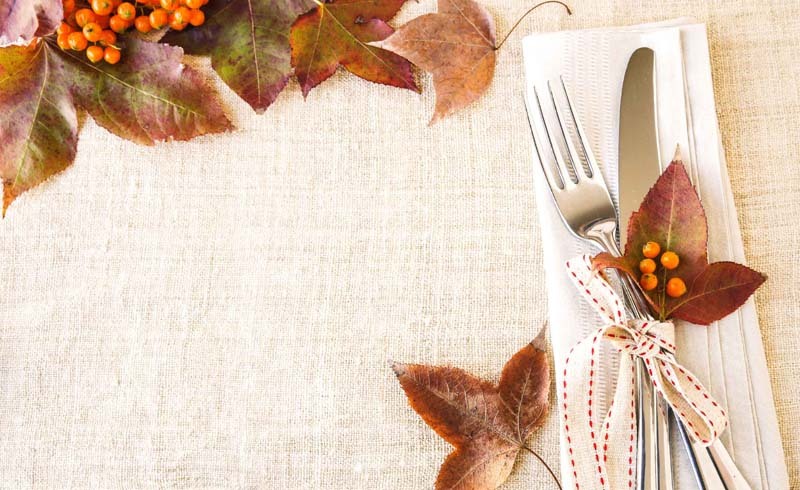 You can find cloth napkins and a Thanksgiving table runner in this pattern, too. 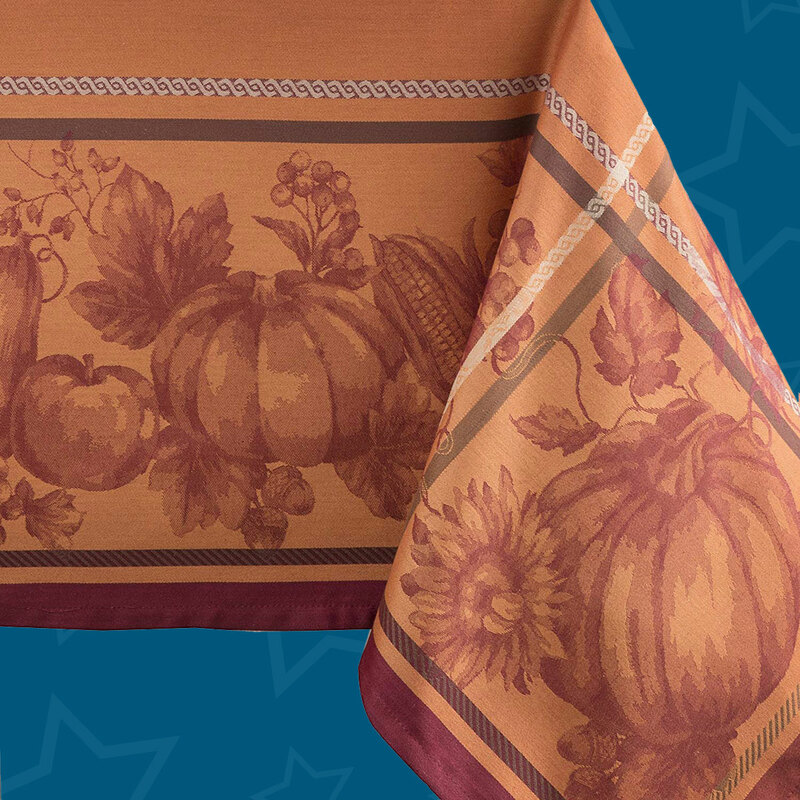 If you’re hosting a classic Thanksgiving, this turkey tablecloth is a must-have. The harvest print also includes pumpkins and apples, so you get a taste of everything Thanksgiving has to offer. There’s bound to be a Thanksgiving spill (or two), so invest in a solid-colored tablecloth (from $16) that’s oops-proof and luxurious at the same time. Liquids, even red wine and gravy, can be quickly wiped clean with a sponge or napkin. 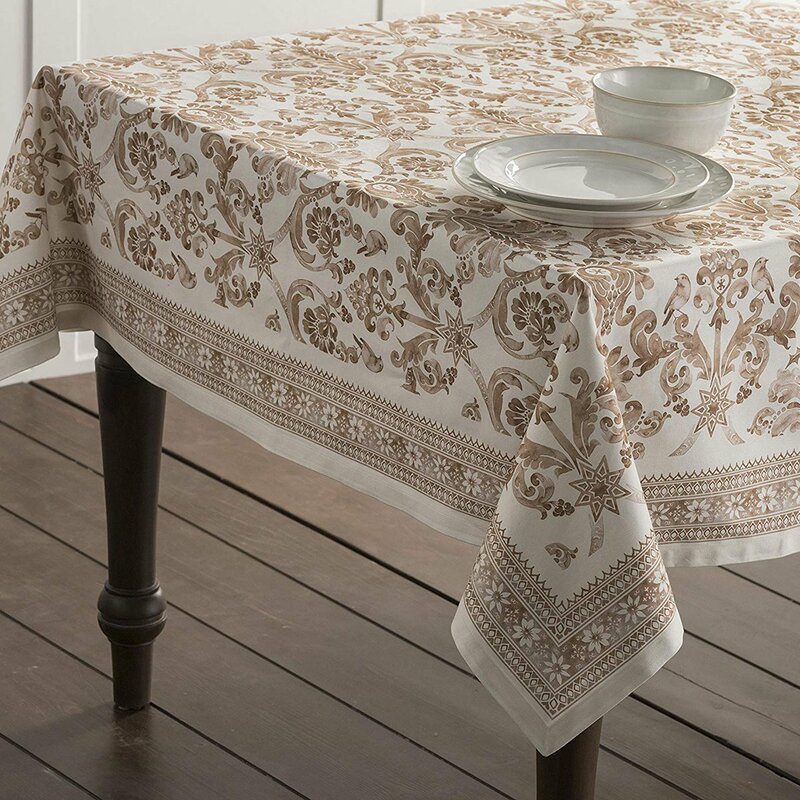 This damask patterned batik tablecloth brings elegant style to a traditional Thanksgiving table. The design is soft enough that it shouldn’t distract from the roasted turkey and all your stunning Thanksgiving side dishes! 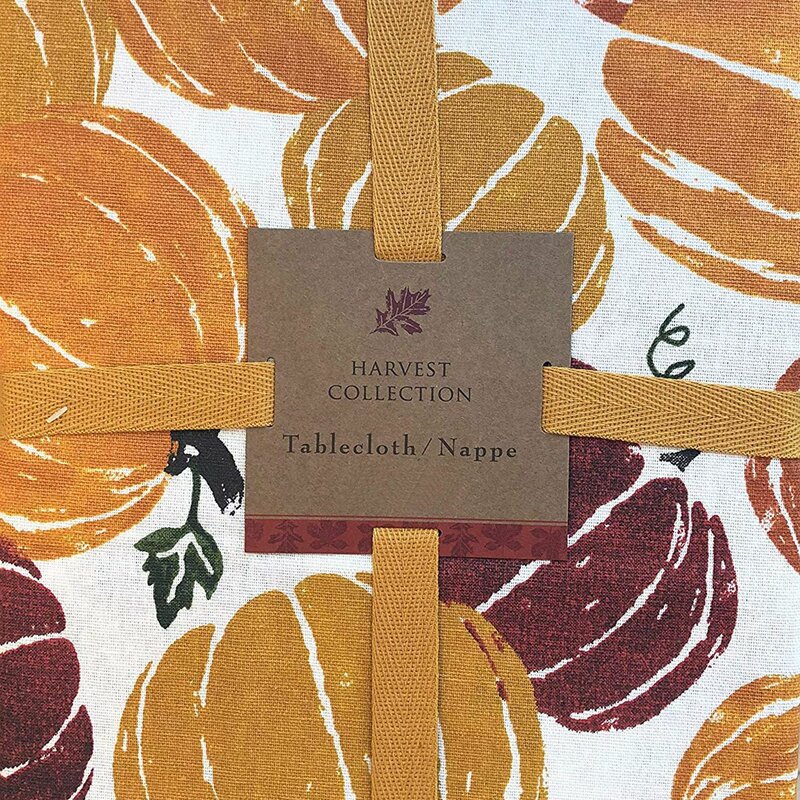 The perfect backdrop for a Thanksgiving meal, this harvest orange tablecloth is creative and stylish. It’s a gorgeous color and can be easily washed and ironed as well, which is a helpful perk. 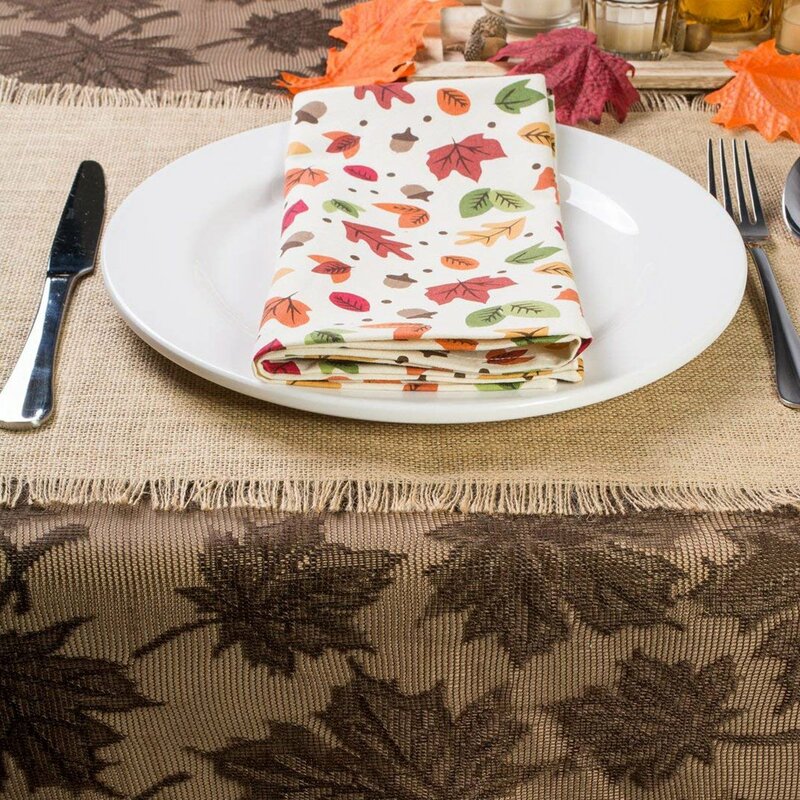 Lay out a multicolored pumpkin tablecloth to get your guests in the holiday spirit. It showcases colors of orange, taupe and green, with a clean white background. 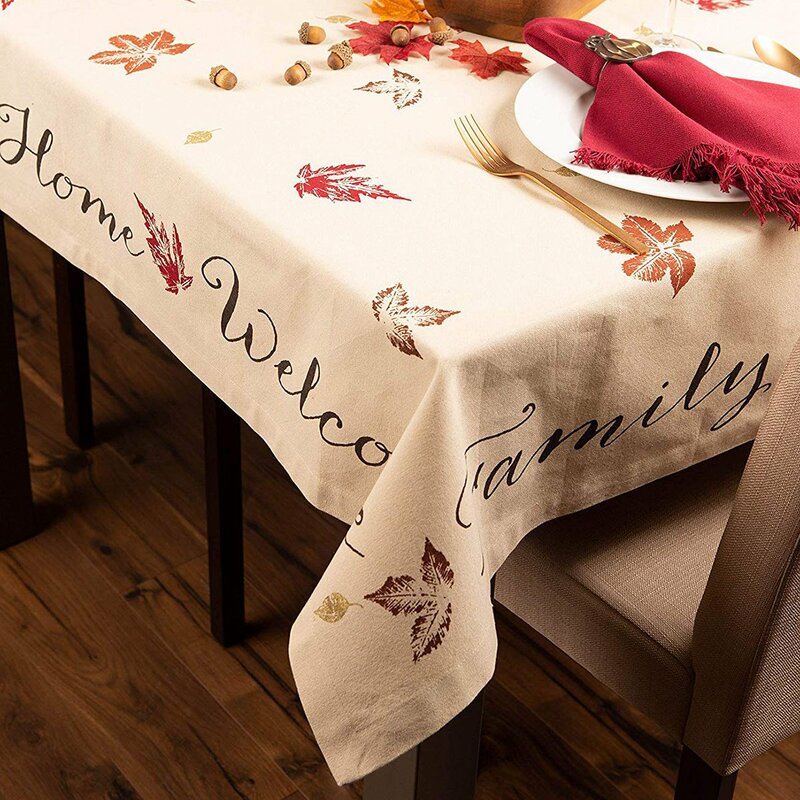 This solid-colored textured fabric tablecloth is ideal for hosts looking to keep their Thanksgiving tabletop looking simple and clean. 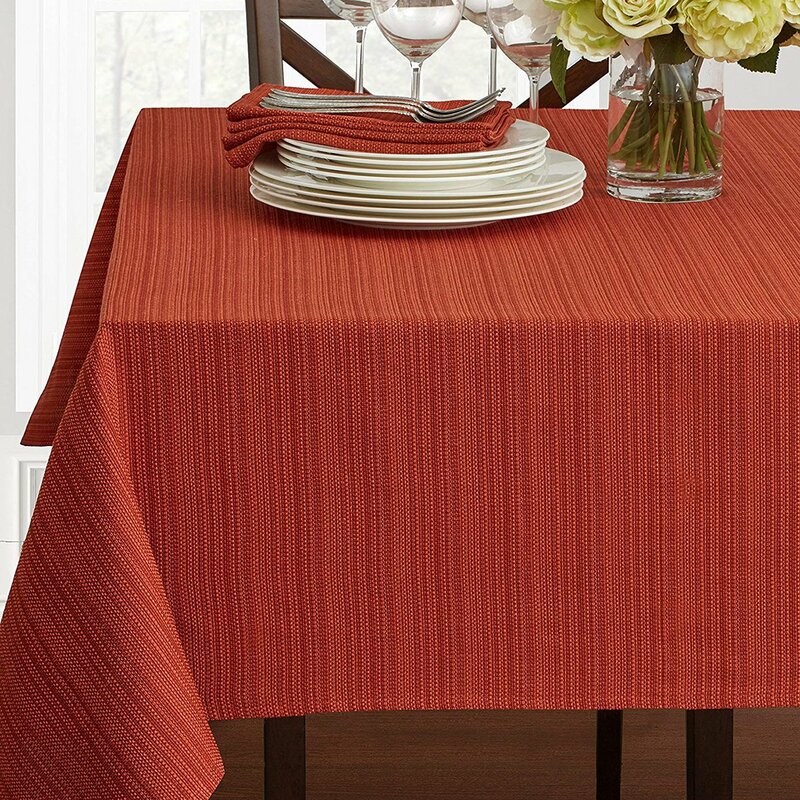 Choose the deep orangey Bison color and top with a table runner and complementary napkin sets. 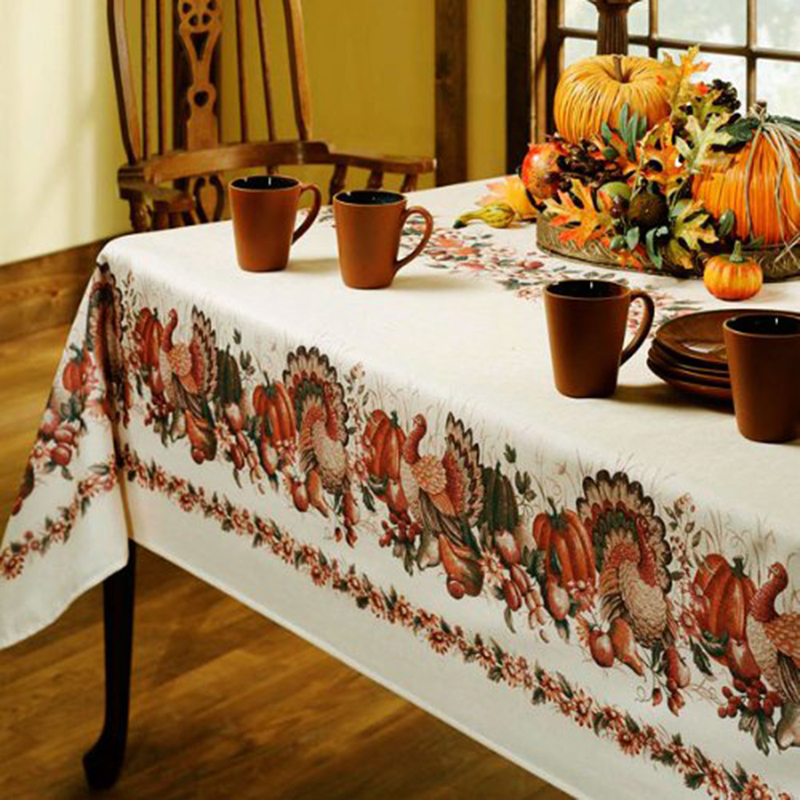 Snag a holiday bargain and use this maple leaf tablecloth for your Thanksgiving dinner. 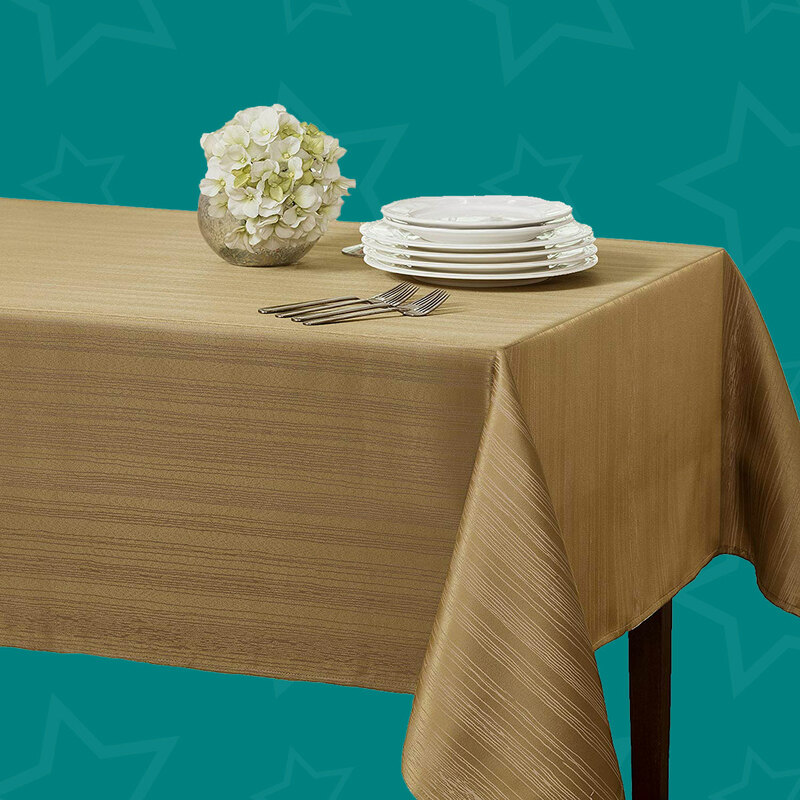 When other tablecloths are $50 or more, it’s surprising to see one priced at less than $20! The lacy texture would make this a great table topper, too.